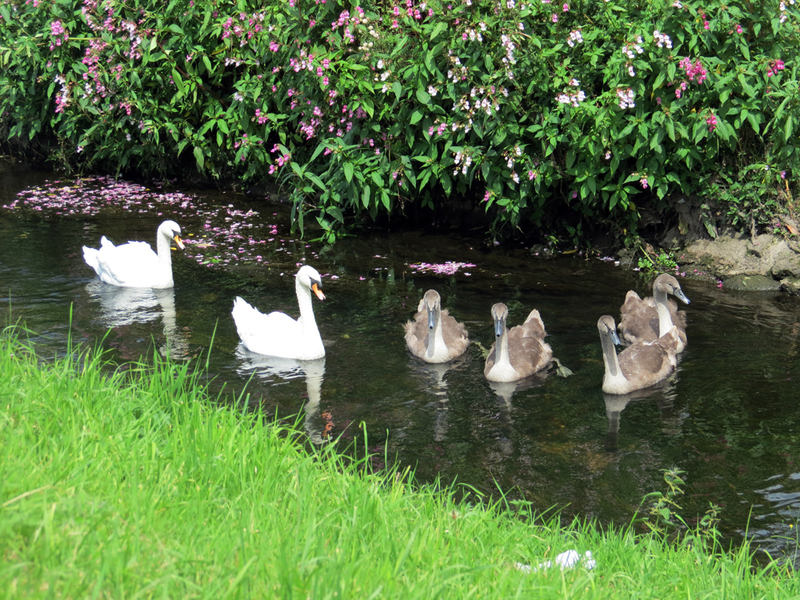 More ducks…..this time a less-commonly seen species…. 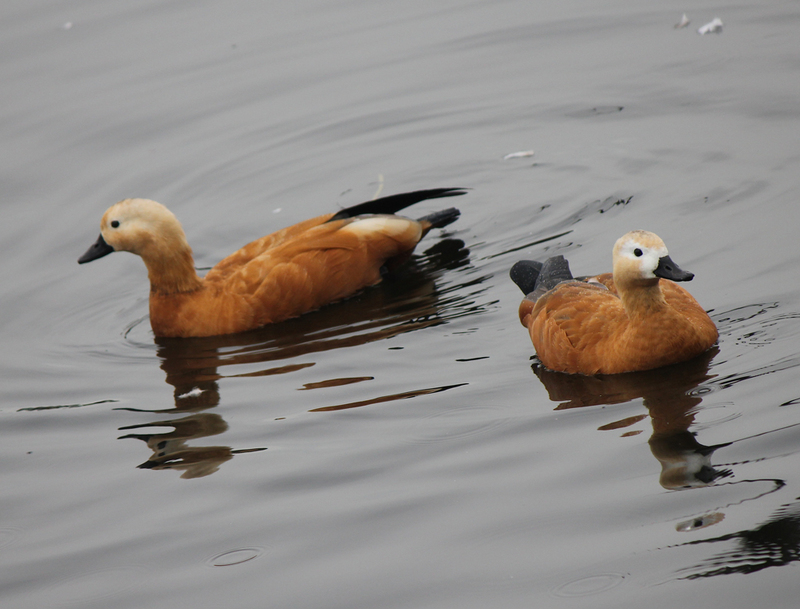 These are Ruddy Shelduck (Tadorna ferruginea), a species native to South-East Europe, Asia and North Africa. They are sometimes seen in the UK, but rarely breed here, and most birds here are escapes from captive populations where they are kept as ‘ornamentals’. So, an interesting sight on the Trent, where these were spotted by Nic Cairns, near Trent Bridge. Thanks to Nic for the photo. Thanks, as ever, to Nic for his photo. I recently visited the excellent Summerwood Community Garden in Clifton, and it was good to see that real efforts have been made to create wildlife-friendly spaces throughout the site. 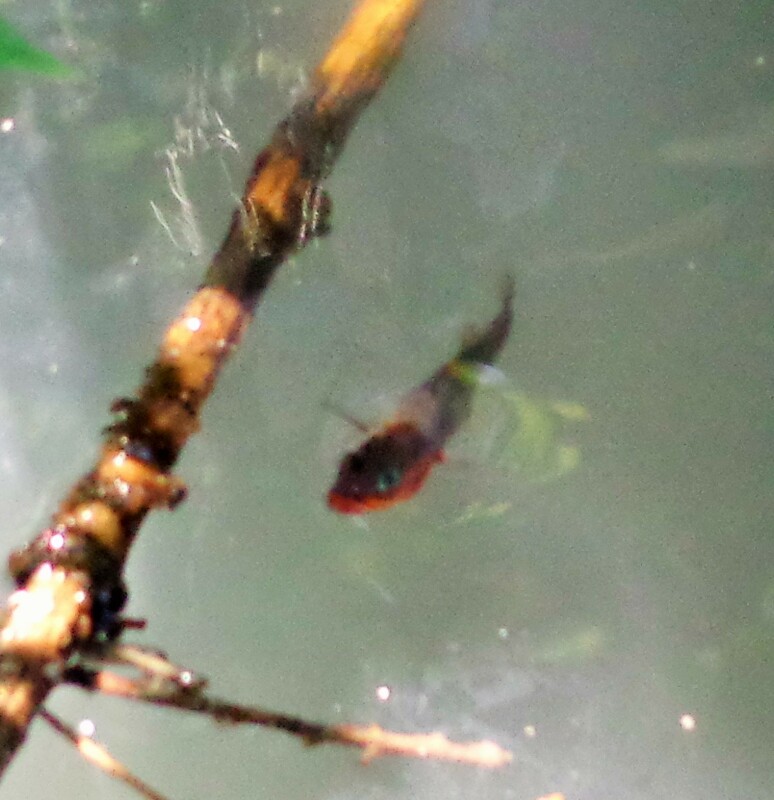 I was impressed by the large wildlife pond…. The pond was teeming with Dragonflies and other insects on the sunny day when I visited, and had an impressive display of wildflowers around it as well. 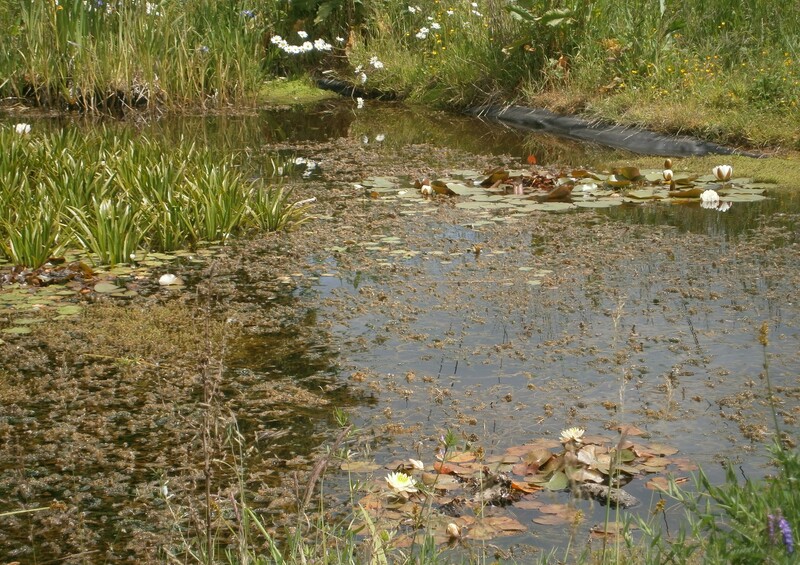 The pond itself had a good variety of aquatic plants, most obviously White Water Lily (Nymphaea alba) and Water Soldier (Stratiotes aloides)…..
Water Soldier is an unusual and interesting plant. 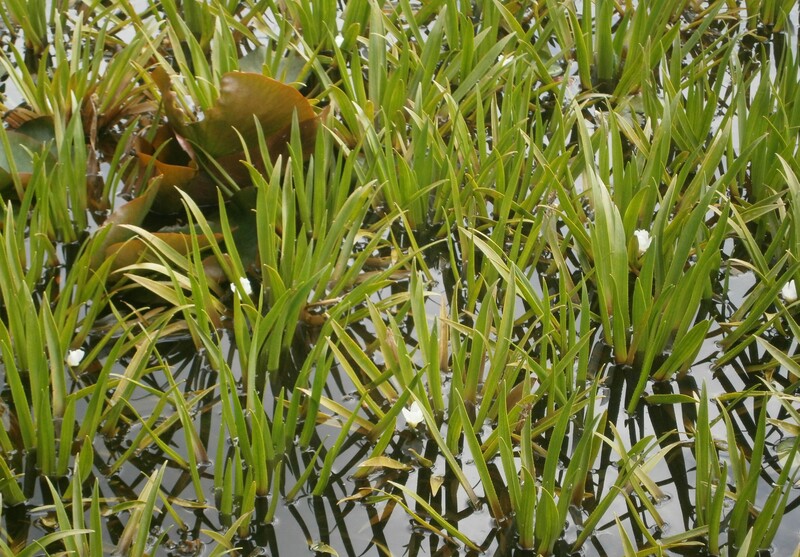 It spends most of the year more or less submerged, and so is easily overlooked; but it emerges from the water surface in summer, to flower…. 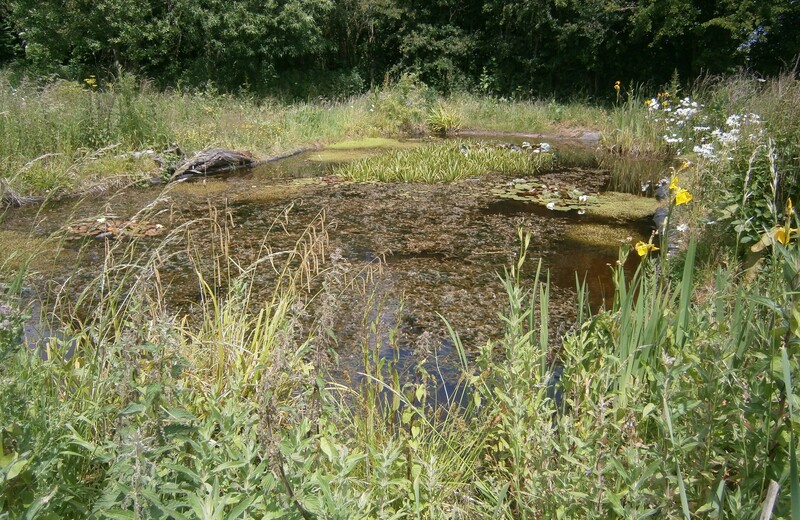 The plant is quite rare in the wild, and is probably only truly native in parts of Eastern England – so it’s good to see it in this wildlife pond. One of many good reasons to visit Summerwood Community Garden this summer! It’s a very attractive view of an abandoned waterway, which is now a resource for recreation and wildlife. 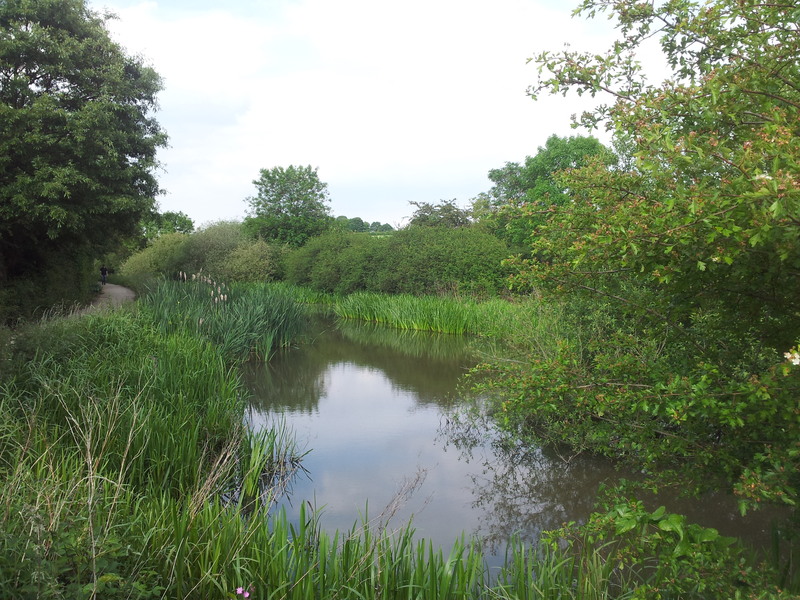 The canal has not been navigable since the 1930s, but this section is managed by Broxtowe Borough Council for nature conservation, with a walking and cycle trail alongside. 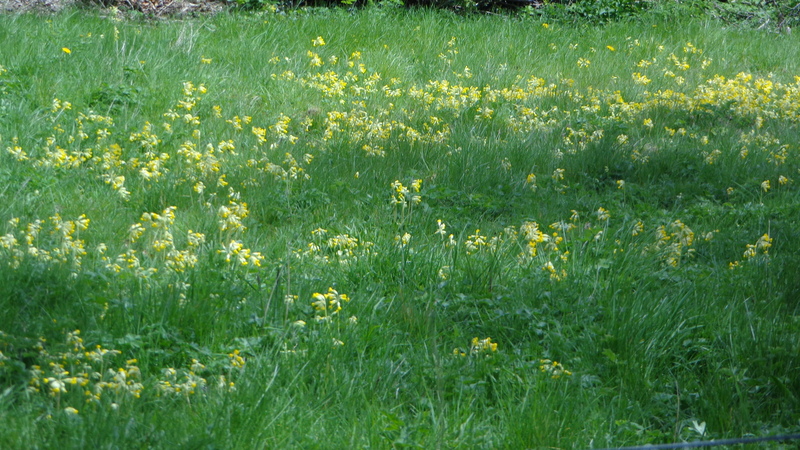 It’s been designated as a local nature reserve, and is well worth a visit. The path here forms part of the Erewash Valley Trail, which is an excellent day’s cycling expedition…. Following my recent post on the River Leen, I was interested to see a section of the river near Moor Bridge tram stop….. 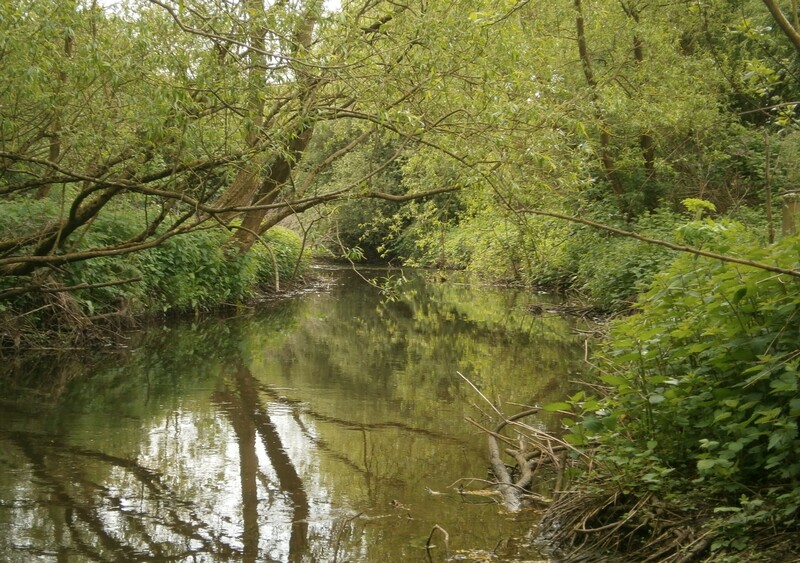 This attractive section of river is next to the local nature reserves Moorbridge Pond and Springfield Corner, and is worth a quick explore if you’ve got a bit of time whilst waiting for a tram. Although the river has been extensively altered, diverted and polluted in the past, it has a number of green spaces and wildlife sites along its banks, some of which are highlighted on the map above. It also hosts some significant species, mostly on its northern sections – Otters have been recorded, and there is a good population of Water Voles, which is Britain’s fastest declining wild mammal. The endangered White-Tailed Crayfish is also present in some sections of the river; it is a priority for action in the Notts Biodiversity Action Plan. The Leen is the focus of various conservation efforts. Some culverted sections have been released, and efforts have been made to improve the water quality. 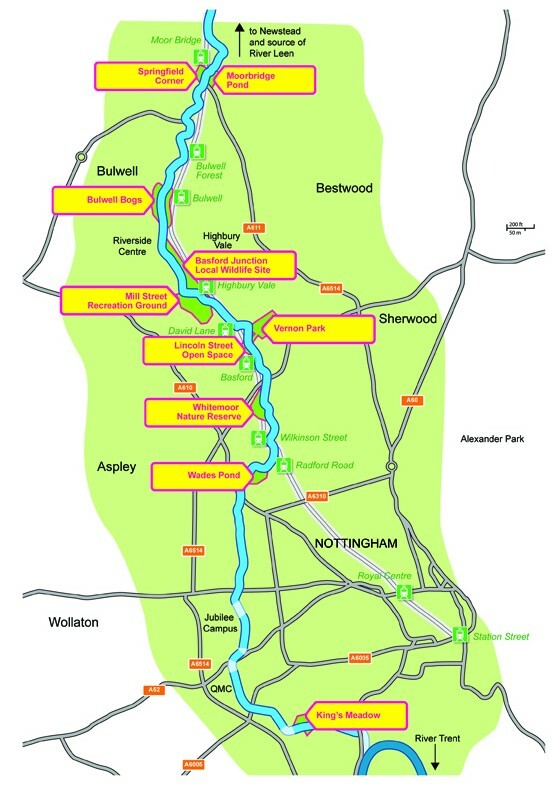 There is also an ambitious project to create a sustainable transport corridor for walkers and cyclists along the city section of the Leen – the City Council’s Access and Biodiversity Study (which also has useful detailed maps of the river’s route). It will be great if this plan encourages people to use this “green corridor” whilst enhancing the biodiversity of the river….